Street Food Recipes: When we talk about Indian food, the first thing that comes to our minds is the eclectic varieties of street food we get here. Street food is an essential part of India’s rich and diverse culture where we have a distinct cuisine in every other state. 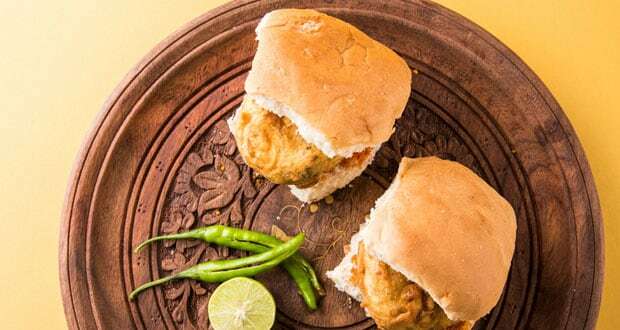 From Delhi’s Gol Gappe to Gujarat’s Dabeli and Maharashtra’s Vada Pav, Indian street food would never cease to surprise you and your appetite! Street food is basically anything that is sold partially or readymade on streets directly by the vendors on cycles or carts. This has been now taken over by small kiosks at some places too, but nothing beats the charm of eating aloo chaat from the good old hawker, who swings by on a cart in the evening. The most loved of all – gol gappe is one of the most common street foods in India. Gol gappe are small, round shaped crispy atta or suji puris, filled with tangy water, mashedpotato and chickpeas along with a melange of spices. 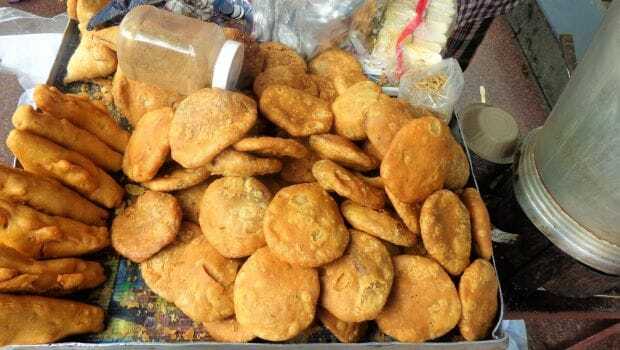 Spread all across the country, this street food has multiple names as well, from Paani Poori in Maharashtra, Gol Gappein parts of North India to Puchka in West Bengal and Gupchup in some parts of Odisha. Paani Puri is one of the most loved street food in India. 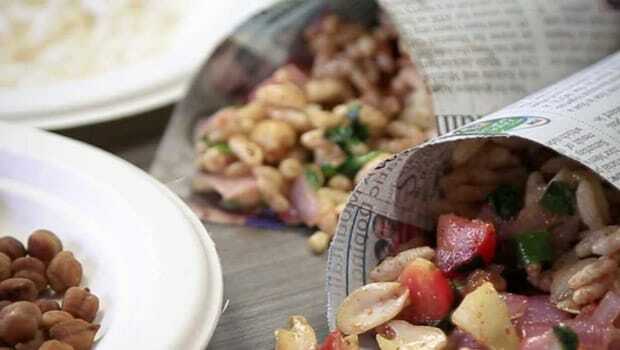 A mix of puffed rice and spices, Jhalmuri is a popular street food from Kolkata. A light, go-to snack, this can be found in almost every nook and corner of the city with vendors selling it on carts. It has a distinct, pungent taste that comes from the presence of mustard oil in it. Jhalmuri is a mix of spices and puffed rice. Photo Credit: NDTV Beeps. 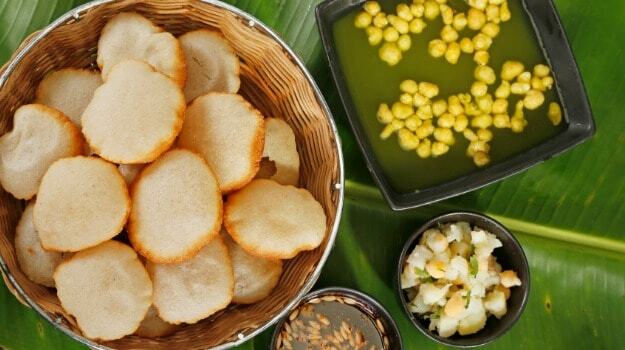 This Maharashtrian special is a flavourful street food that makes Mumbai synonymous to it. Spicy, fried, dumpling like vadas are sandwiched between two slices of pav and served with a host of fiery chutneys. 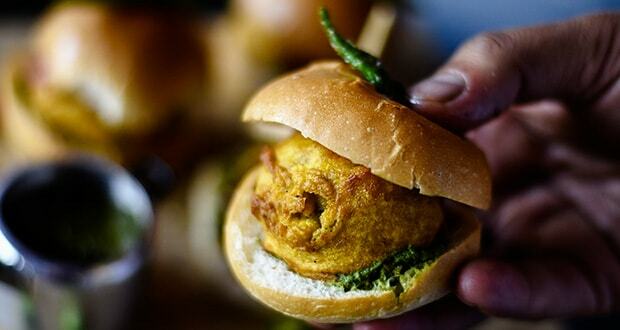 Vada pav finds itself almost on every street of Mumbai and on the to-do list of anyone who is travelling to the city. The most popular street food of Mumbai can now be prepared in your kitchen! An interesting Gujarati snack, Dabeli has a crunchy as well as delicate blend together that makes it a delight to relish. Known to have been originated in the Kutch region of Gujarat, you will find an array of shops and stalls selling Dabeli, even in the narrowest of lanes. You can also call Dabeli a distant, delicious cousin of vada pav due to the similar taste and spices used in both the snacks. Paapdi chaat is a mouth-watering gem of a recipe from the streets of Old Delhi. 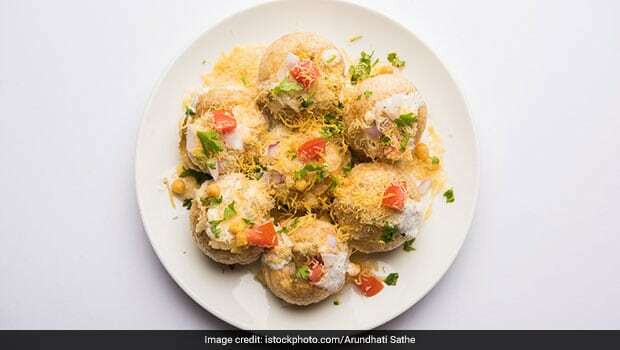 It has a melt in the mouth fusion of crispy paapdi, boiled chickpeas, potatoes, yogurt and a host of spices like red chilli, chaat masala, cumin powder, etc. A perfect balance of sweet, spicy and tangy, paapdi chaat can easily be prepared at home with simple ingredients. Paapdi chaat is a mouth-watering gem of a recipe from the streets of Old Delhi. This South Asian delight has rapidly made a place in the heart of North Indians, specifically Delhiites, who love to gorge on them. A versatile snack that it is, we have a wide variety available from chicken, mutton to vegetable momos, it is best served with a fiery chutney made with red chilli, garlic and tomatoes. 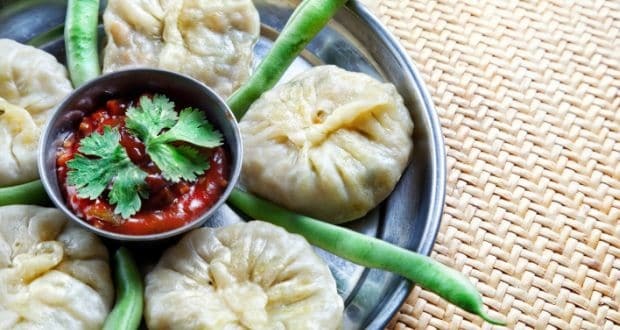 Make these momos from scratch and stuff with chicken, veggies, soya, paneer or whatever your heart fancies. The name itself is enough to tickle our taste buds! 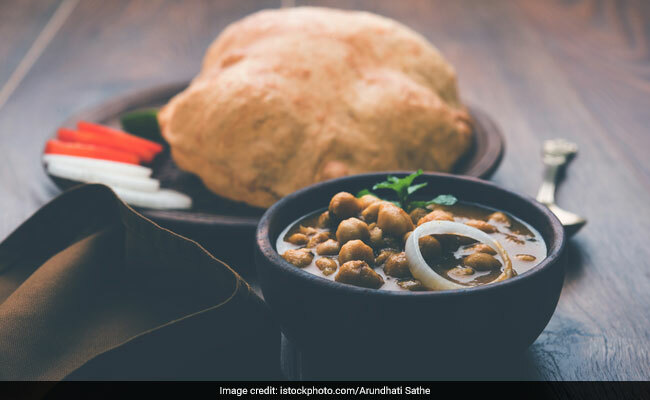 Chole bhature are the quintessential Punjabi dish that you will find in every restaurant and street of North India, especially when you are around Delhi and Punjab. Piping hot and crispy bhatura served with flavourful chole is what a typical Sunday brunch can look like in a North Indian household. With this easy chole bhature recipe here, you can have a scrumptious treat at home too! Right from that best chole bhature in the town to your kitchen is what we have a delicious recipe at your doorstep! An immensely popular dish from Indore, khasta kachori is a crispy fried, spicy snack that is simply irresistible when served with a sweet and tangy imli chutney. It is stuffed with a black gram mixture along with an array of spices. A tricky one to prepare but worth all the way. 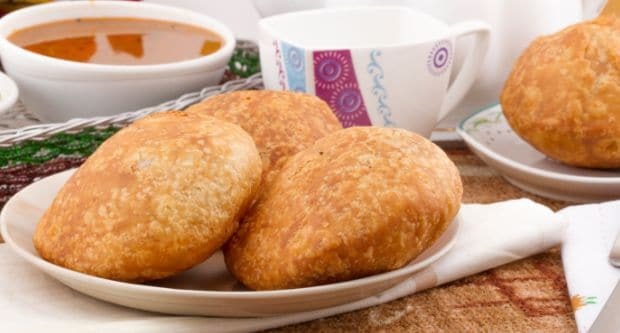 Dough made of flour and ghee stuffed with a lentil mixture and deep fried till crisp. The ultimate partner in the monsoon season isn’t really the umbrella you would carry but the freshly fried, hot and piping samosas that you would love to enjoy with a cup of chai! 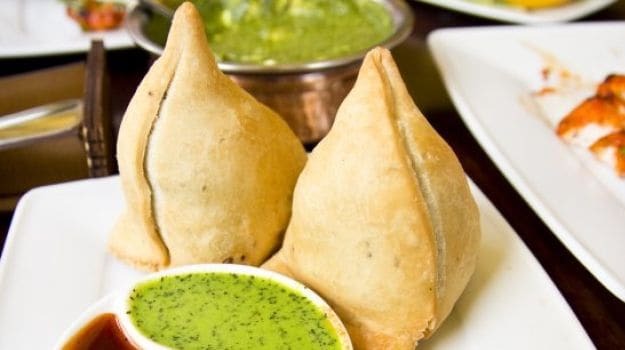 Samosas are one of the most loved snacks of the nation that does not need any introduction. Triangle puffs stuffed with spicy potato and pea mixture and deep fried to perfection is what none of us can ever resist. Pockets of dough stuffed with a potato and pea mixture, deep fried. An all time favorite tea time snack! A paradise for potato lovers! We can never mention street food and forget aloo chaat; it tops the chart of every street food lover. 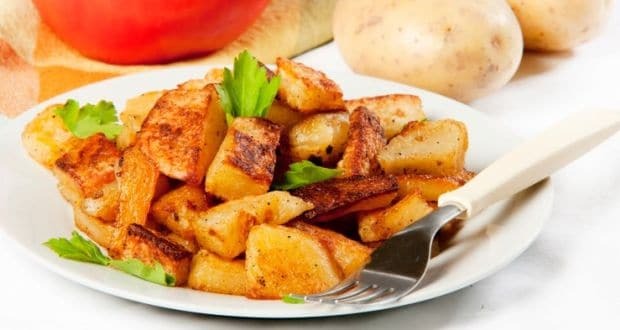 Bite-sized potato chunks tossed with a host of spices and chutneys are the ultimate satiation level a foodie can reach. Tossed in tamarind chutney, this fried aloo chaat is a must try. After all there’s always some place left to tuck in some sweets! And when it is about the coiled, hot and sinfully sugared Jalebis, can we ever say no? These deep-fried sweets soaked in sugar syrup are a favourite for those with a sweet tooth and are often prepared on festive, celebratory occasions in Indian households. Just a handful of simple ingredients will help you dish out mouth-watering crispy jalebis in no time. Now, that you know the best street foods that India has to offer, go on and explore what you haven’t or even best, try preparing these at home.